Even on hot days in Britain, our mornings are cold, and demand a bit of respect. 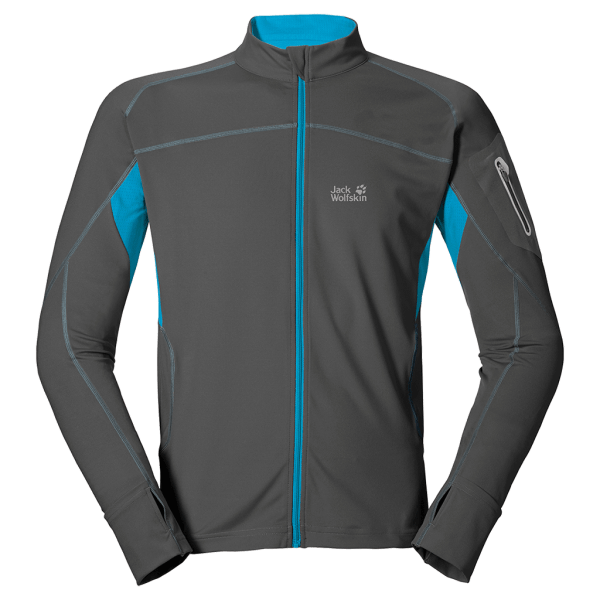 Jack Wolfskin’s Passion Trail is the perfect fit for our weather, as it provides you with an extra layer to give you a bit more warmth, while the quick drying fabric wicks away moisture, both in forms of rain and sweat. The fabric is breathable and stretchable, giving you a close snug but comfortable fit. I went for the orange, though this comes in grey as well. Each side of the jacket features reflective lines, making sure you are visible in the darker hours. There is the other option of the colour grey too. The front features a full length zip, which tucks in nicely around the neck making sure you get a full length zip cover, as well as comfort around the neck area. Moisture wicking patches around the under arms and the back ensure you stay dry when you are sweating or during an intense workout. Thumb-loops exist on both arms for extra comfort while running/jogging, and a small pocket on the left arm allows you to store keys or cards. It isn’t big enough to put in a a phone, mind, at least not what we call phones these days. Overall, this is made of a soft polyster with bits of mesh for wicking away moisture. Stretchable, light, comfortable, it ticks all the boxes. How does it feel while running/jogging/active? Pretty good. The snug stretchable fabric ensures there isn’t much rubbing, which means you don’t get uncomfortable. The fabric moves with you as you move, ensuring no friction. Having said that, the snug fit ensures retaining of warmth, and the breathable moisture wicking fabric takes away the sweat when things get hot. All in all, it ticks all the boxes. Being light and thin means there is no extra weight to carry, and the fit ensures there are no baggy bits to worry about while running. In fact, for me, the only worry was the headphone cables. How does it work in wet/cold conditions? This isn’t designed for heavy rain, but for a light sprinkle, it works, being made of quick drying material. 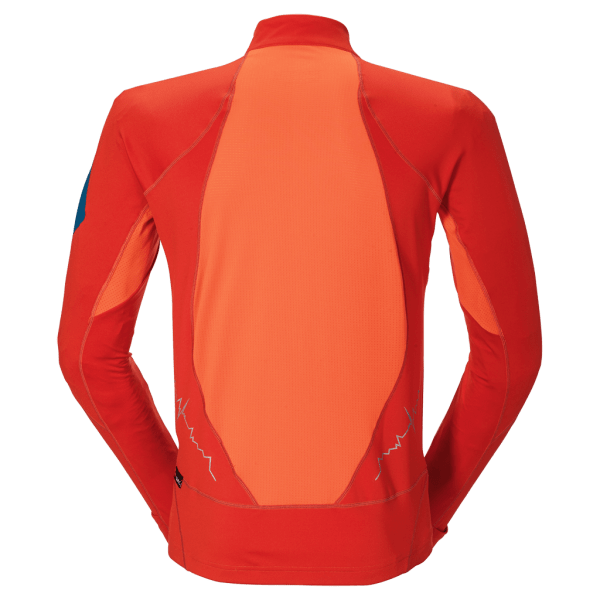 I did use this in combination with the Dry’n’Cosy Long sleeve shirt when it was only 1 degree outside, and while it was a colder start, I soon got into my element. More information on this can be found on the Jack Wolfskin website. It comes in grey and orange, and sizes range from M to XXL. It retails for £75. 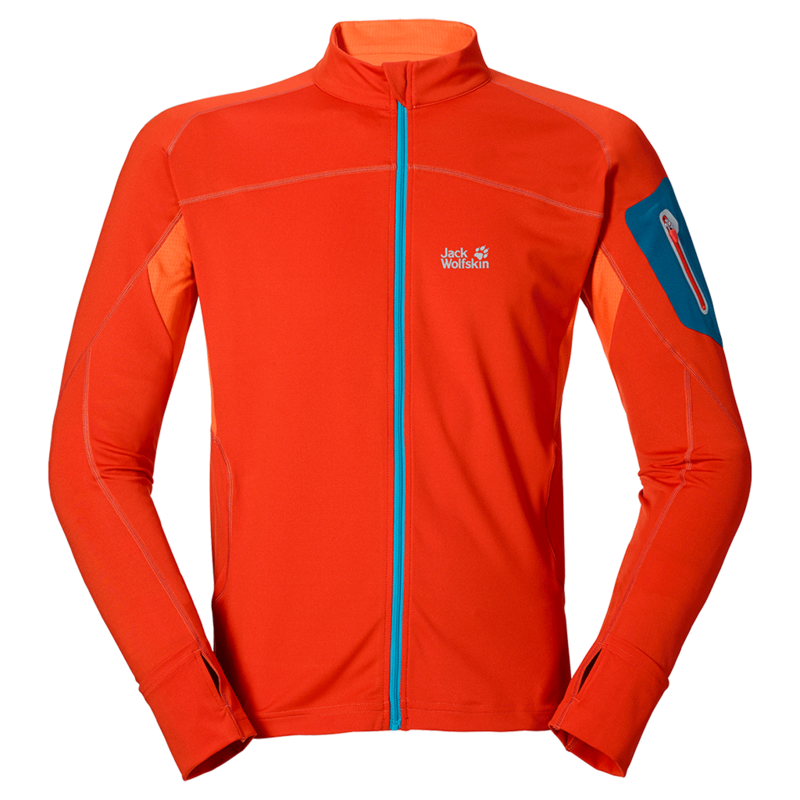 British weather demands respect, even when it is ‘summer’, and every runner needs a good light jacket. With the Jack Wolfskin Passion Trail Full Zip jacket, you need to look no further.